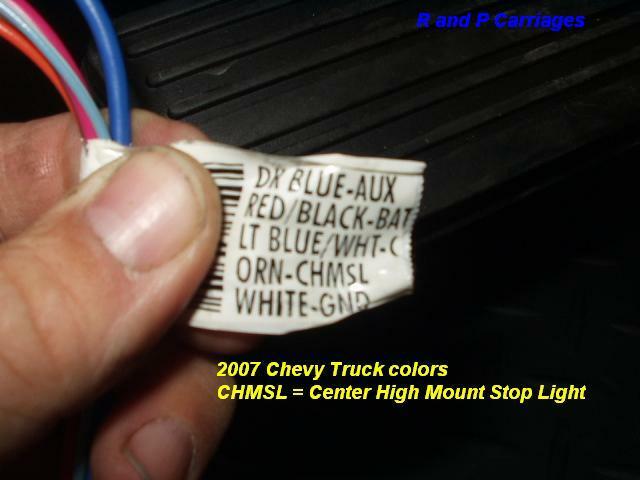 Many of the new 2007 GM/Chevy trucks do not have the "Plug and Play" (I guess that is a improvement??) But if you have the tow package, it should have the wires folded and tapped up under the dash. You will have to connect the wires to your controller. 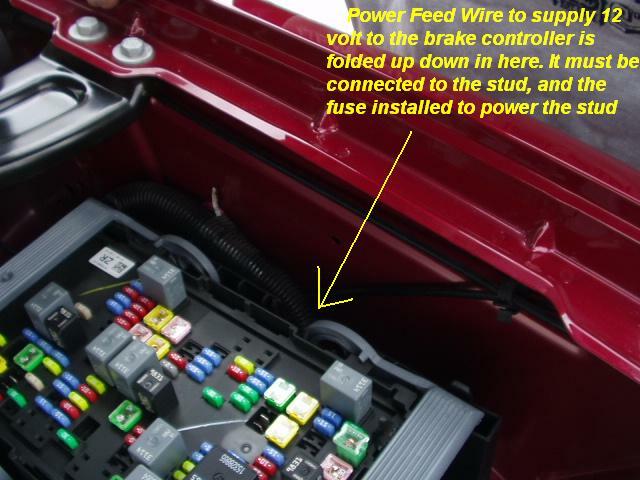 First, under the hood, find the wire folded up next to the fuse panel and hook it to the stud shown, then find the other wire foled up down below the brake master cyclinder, and hook it to a stud. 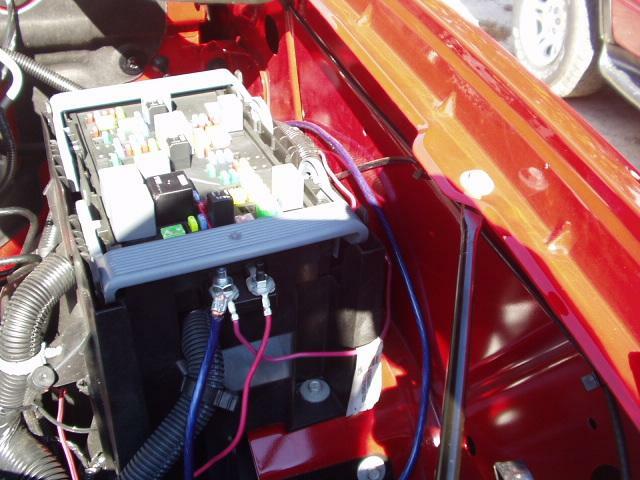 Below, under the hood, remove the fuse box cover and locate the fuse that powers the aux stud. Install a fuse if it needs it. Next locate the red wire with black tracer, down under the steering column. 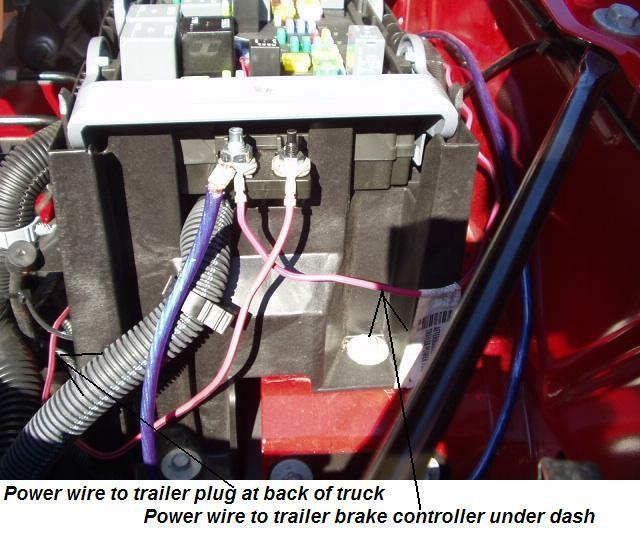 (not shown in the picture below) this is the wire that provides power to the trailer plug at the back of the truck (battery charge, inside trailer lights). This wire is pretty easy to find, it is folded up and taped to the harness. Put this wire on the stud. 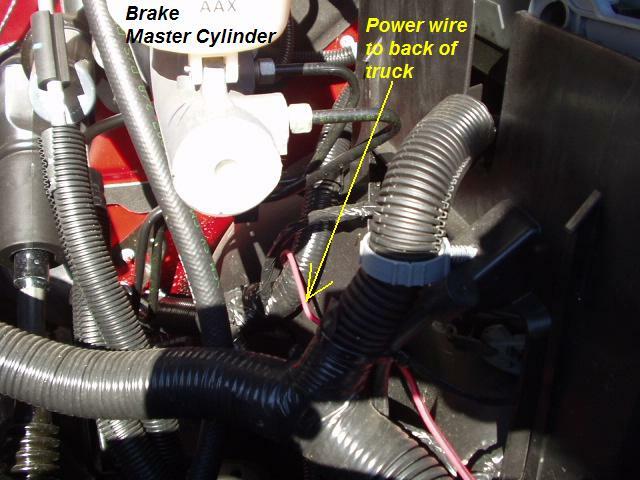 Next, locate the wire that is hard to see, folded up between the fuse box and the fender. It may be well hidden. This is the wire that runs through the firewall, and supplies the power to the brake controller (the Red wire with black tracer). Put this on the stud. You will have to buy a metric nut to secure these wires to the stud, I think a 6 mm or 8 mm. Your controller should now work!